The Cassini space mission to Saturn will reach its dramatic finale today as it plunges into the atmosphere of Saturn and is destroyed. The spacecraft is being deliberately crashed to avoid contaminating the planet’s pristine environment – after what’s widely seen as a very successful mission. “Look at Cassini’s photos of Saturn and you can’t help but be fascinated by the beauty and detail,” explained Euronews correspondent Jeremy Wilks. Two of those moons have captured special attention. Firstly Enceladus, where Cassini flew through jets of water vapour and ice coming from a subsurface ocean, leading to speculation about whether there could be primitive forms of life deep inside. And secondly Titan, where this NASA-ESA-ASI mission dropped off the European probe Huygens in 2005 – the most distant landing ever made. The images it sent back showed a dingy world where liquid methane rain forms rivers and lakes. 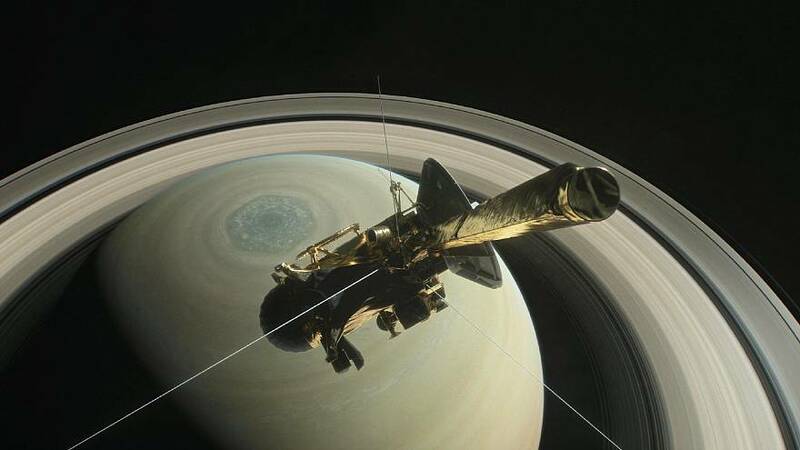 Cassini ends its mission later today doing what it does best – taking data. Eight instruments will be sending back information on Saturn right up until the final moment, when the spacecraft will start tumbling, break up, never to be heard from again.